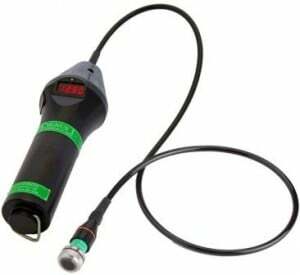 The Cygnus 1 Intrinsically Safe is a rugged, shock-proof multiple echo ultrasonic surface thickness gauge designed for safely measuring metal thickness to determine wastage or corrosion in potentially explosive environments. By using multiple echo technology the metal thickness gauge measurements are error checked using 3 return echoes to provide repeatable, reliable results. 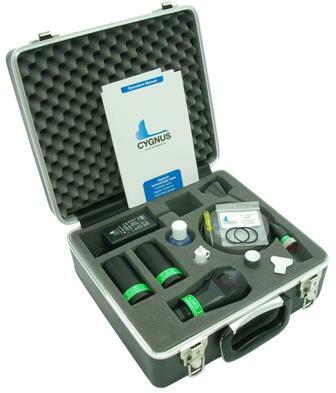 Supplied ready to use in a protective carry case with 2 rechargeable batteries, the Cygnus 1 Intrinsically Safe can achieve up to 10 hours of continuous testing before a recharge is necessary. Contact us to find out more about the Cygnus 1- Multiple Echo Ultrasonic Thickness Gauge or any of our other thickness gauges or request a quote online. Also approved for use in mines. Specifically designed for underwater remotely operated vehicles, designed to measure metal thickness through coatings in the harshest operating conditions. The Cygnus 6 PLUS PRO has a range of features for the professional user. Designed for the harshest of environments with a simple to use keypad and intuitive menus. A rugged, shock-proof multiple echo ultrasonic surface thickness gauge designed for safely measuring metal thickness to determine wastage or corrosion in potentially explosive environments.